My wise friend reminds me. "I think you need a time to entertain yourself"
Sejak hari itu aku membuat catatan kecil untuk diriku. I must appreciate, and love myself more. Wrote down as number one on my list, daily treatment. Sekedar memanjakan diri sendiri dan memberi nafas untuk kulit yang penat setelah melewati hari-hari yang sibuk. Solusi by Martha Tilaar came just right in time as a problem solver. 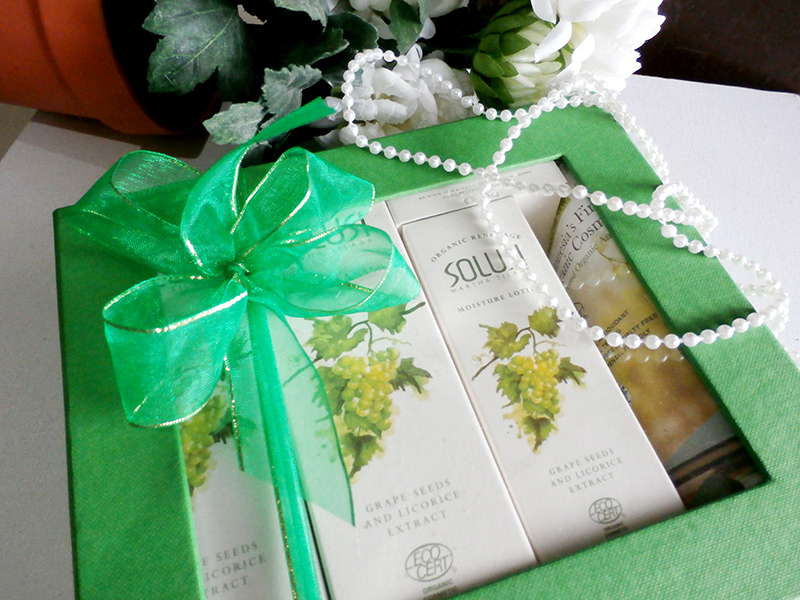 Indonesia's First Certified Organic Cosmetic yang dibuat dari Organic Green Grape Seed Oil. FYI, green grapes grow in Bali and East Java. Besides the delicious texture, its seeds also rich in antioxidant which emit the premature aging. Already tried for couple days. Memulai hari dengan cuci muka menggunakan its face wash, lalu apply moisture lotion under my daily make up. Malamnya, swipe leftover makeup dengan Face Cleanser and Face Toner. And lastly put a bit of night cream before went to bed. Ready to face the deep sleep with a moist and fresh skin. Clearly emang paket yang pas untuk my dry skin yang ditempa dinginnya air conditioner seharian. Baik di jalan, rumah maupun kantor. And where to find this beauty set? Move your cursor straight away to Sociolla. A beauty destination and daily dose to all things beauty. Or simply click here. Since that day, I made a little note for myself. I must appreciate, and love myself more. Wrote down as number one on my list, daily treatment. Just a self indulgent and give breath to my tired skin after whole busy day. Solusi by Martha Tilaar came just right in time as a problem solver. 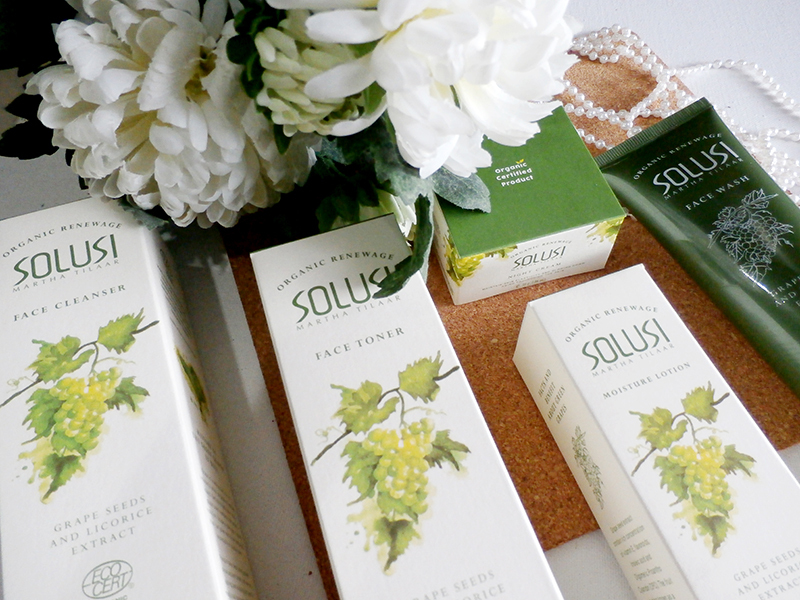 Indonesia's First Certified Organic Cosmetic that made from Organic Green Grape Seed Oil. FYI, green grapes grow in Bali and East Java. Besides the delicious texture, its seeds also rich in antioxidant which emit the premature aging. Already tried for couple days. I began to clean up my face by using its face wash, then apply moisture lotion under my daily make up. At night I swipe the leftover makeup with Face Cleanser and Face Toner. And lastly put a bit of night cream before went to bed. Ready to face the deep sleep with a moist and fresh skin. Clearly it's a suitable package for my dry skin which always forged under aircon all day long. Inside car, at home, and also on my working time. You only really need the most basic natural products for your skincare. I love organic ranges! The products with only a few ingredients work best for my skin.